On Labor Day, I decided to go for a hike. As part of my 5K challenge, I'm trying to be more active. I'm also trying to practice my photography skills. 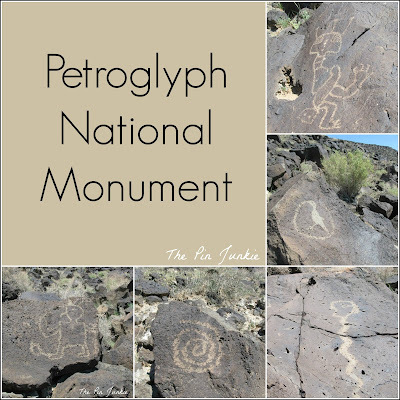 I thought going for a hike at the petroglyph national monument would be a good way to do both. 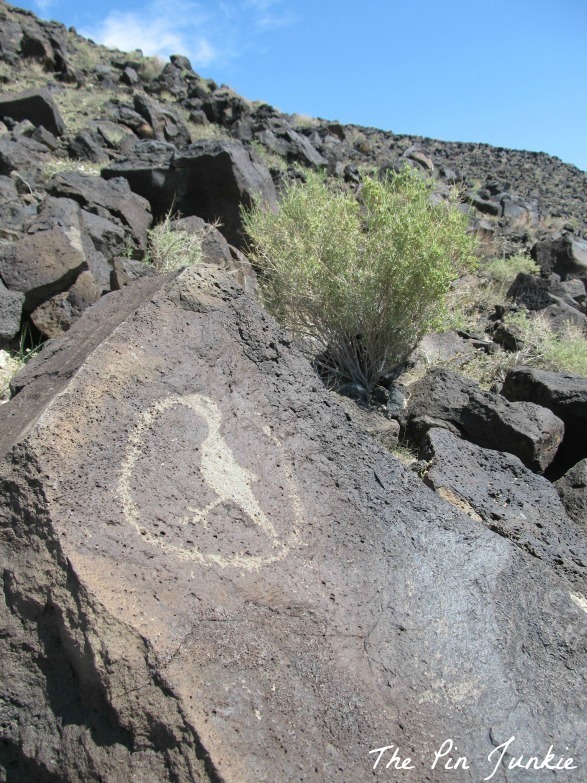 Locals call it petroglyph park, but it isn't a park in the sense that there's grass and trees. 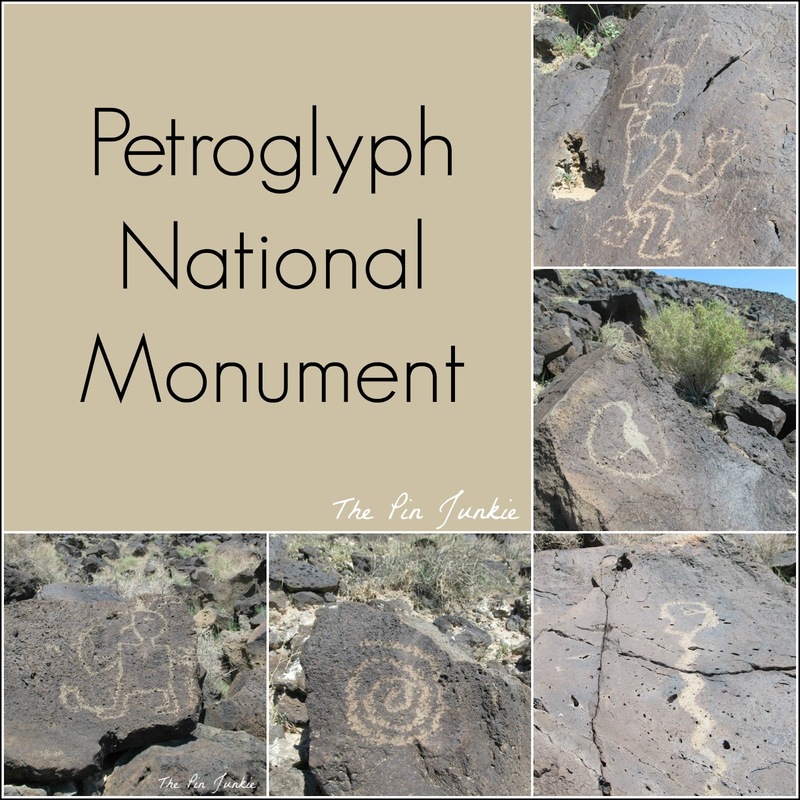 There aren't any trees and there's absolutely no shade anywhere, but it is a protected area as part of the national park system and there's a well marked trail. 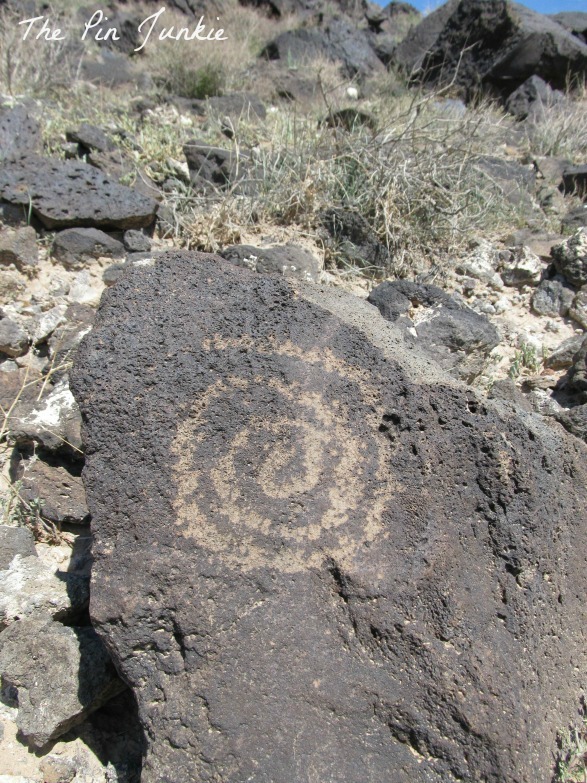 Petroglyphs are rock carvings made by Native Americans. 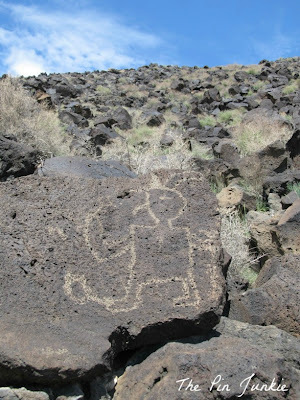 The carvings are made on dark colored basalt boulders from an ancient lava flow. Archaeologists estimate that most of the carvings were made 400 to 700 years ago, and some carvings may even be 2,000 to 3,000 years old. 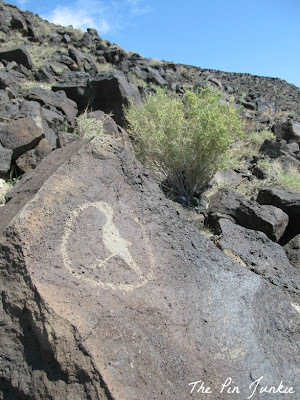 The petroglyphs are practically in my backyard. It's something really neat and unique to my area, but I sometimes feel like it's taken for granted and not fully appreciated by people who live here and can see it anytime. It's still 90 degrees here even though it's the beginning of September. 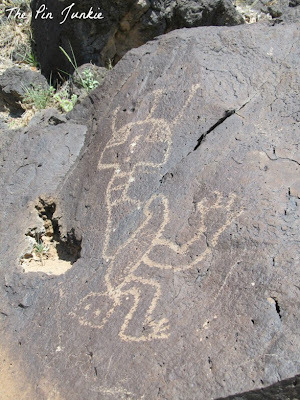 Combine 90 degree temps, no shade, and hot lava rock radiating lots of heat, and it makes for one very hot hike! I tried to get an early start but, it was still hot and I was tired by the end of the trail. It was a nice way to spend the morning, though. I got a two mile hike and some pretty good pictures!